The CBI had earlier opposed the plea, saying Karti may tamper with evidence in the UK, which is crucial for the ongoing investigation. 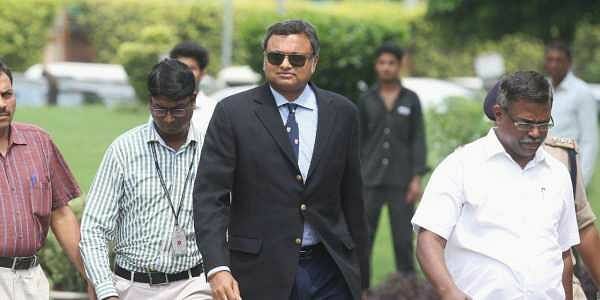 NEW DELHI: Karti Chidambaram, son of former Union Minister P Chidambaram, on Tuesday again approached the Supreme Court seeking permission to visit the UK between November 5 and 15 and from December 1 and 7. Earlier, Karti had told the apex court that he wanted to go abroad as he wants his daughter to be admitted to Cambridge University. However, the CBI opposed the plea, saying Karti may tamper with evidence in the UK, which is crucial for the ongoing investigation. CBI is investigating the case, which was lodged on May 15, and had alleged irregularities in Foreign Investment Promotion Board (FIPB) clearance to INX Media for receiving overseas funds to the tune of `305 crore in 2007 when Karti’s father was the Union Finance Minister. On October 11, a bench headed by Chief Justice Dipak Misra said that it would first decide whether it was entitled to see the documents CBI has intended to place before it in a sealed cover relating to its probe. Senior advocate Kapil Sibal in previous hearings had said that even if the documents were to be seen by the apex court, these materials cannot be relied upon for adjudicating the validity of the Look Out Circular issued against Karti. Additional Solicitor General Tushar Mehta countered and said the documents are part of the case diary.